Stay tuned for more episodes to be released here soon! What would it be like to live a life of true wanderlust? A life where home is 28 square feet inside a 1988 Ford Festiva, and your days are filled with travel, teaching, and spectacular adventures. Meet Sam Salwei, Raquel Hernandez, and the Peace Love Car – two charmingly talented wanderers and their trusty (if quirky) steed. The Peace Love Car is one-of-a-kind. A solar panel on the roof provides power for the fridge, the seats fold down into a bed, and the oven under the hood can cook you a perfect burrito. It custom-built shocks bear 1,500lbs of adventure gear with nary a squeak (OK, not true), and it has transported its occupants with moderate reliability across almost half a million miles of open road. But friends, the Peace Love Car is dying. Last year a mechanic declared that, due to a rusting unibody, the PLC had only about a year to live. As a final farewell, Sam and Raquel took the vehicle on a 45,000-mile tour of North America, crossing the continent 7 times and visiting all 49 states and most of Canada. Along the way they met an array amazing people and pushed their bodies (and relationship) to the limits in some of the most beautiful locations on Earth. The Peace Love Car is still alive! 478,000 on the odometer and counting. Since the end of the tour, the PLC got a few months of rest while Sam and Raquel visited Thailand and Hawaii. But he is now roaming the roads of North America, enjoying some bonus days of life. 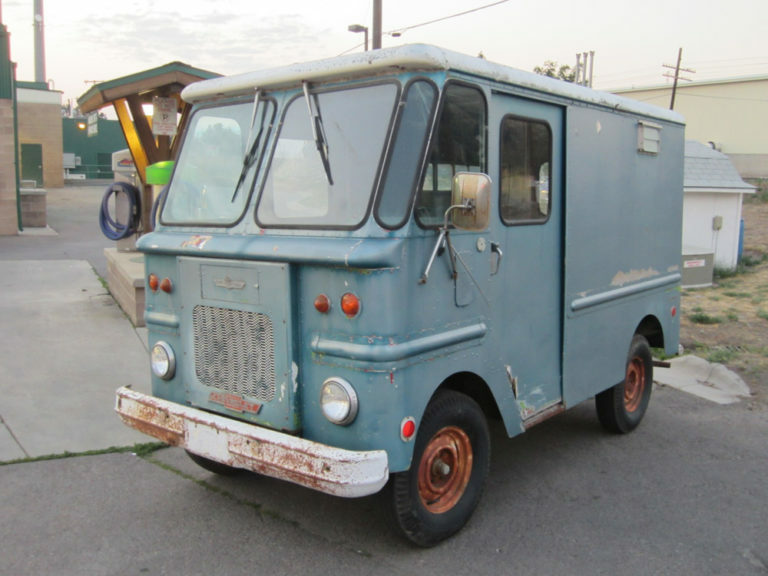 He met his successor (a combination retired ice cream van + truck chassis) a few months ago and realized that he will need to last for quite a while longer, since the new PLC — currently unnamed — is at least 18 months away from being ready to hit the road and start it’s own adventure. As always, the PLC is in good spirits! As we write this, he is helping build the new PLC by towing its future front end. He can’t help himself… after all the spirit of the PLC is loaded with the need to give. In the coming months, the PLC will drive coast to coast twice more: San Diego to Jacksonville to Portland before taking a three-month break while Sam and Raquel explore Asia, New Zealand, and Australia. After that? Well, there’s always another adventure. Read the Peace Love Car Blog! and follow the Road to Wanderlust film, the YogaSlackers, and Wanderlust on Instagram. Can’t get enough of the open road? Also check out The Perks of Being a Nomad: Why We Decided to Live in a Van and 5 Ways to Travel Smart From a Guy Who Turned a Bus Into a Mobile Living Space.